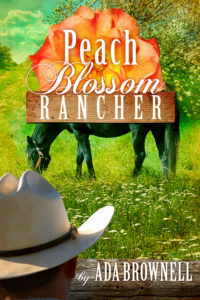 When Ada Brownell sat down to write The Peach Blossom Rancher, she drew from her experiences growing up in Colorado’s Peach Country, picking peaches and working in a packing shed. In addition, she uses some of what she learned about mental illness covering the Colorado Mental Health Institute at Pueblo on her beat as a journalist for The Pueblo Chieftain. In her work, she received a list from the Board of Lunacy Commissioners showing supposed cause of insanity of patients admitted in 1899-1900 and 1909-1910. She uses part of that list in this book and used that information in developing some of the characters. However, in Peach Blossom Rancher the mental hospital is in Boston, and everything about the asylum is fiction. The Colorado Mental Health Institute at Pueblo eventually became one of the best treatment centers in the nation for the mentally ill.
Ada writes with Stick-to-Your-Soul Encouragement. She is the author of six other books, about 350 stories and articles in Christian publications, and she spent a large chunk of her life as a reporter, mostly for The Pueblo Chieftain. Are our young infatuations real love? 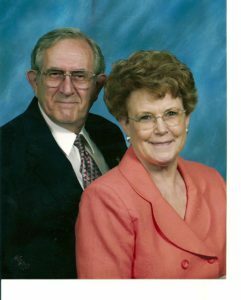 Edwina Jorgenson has been in love with John Lincoln Parks since they were in elementary school. At least that’s what she thinks. But now she’s a woman running the ranch for her disabled father. Her cowhand is pursuing her with a passion, and John is writing to a beautiful young lawyer he met at his sister’s wedding. 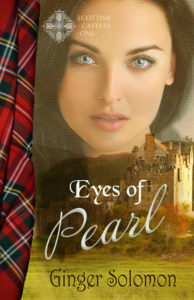 Yet Edwina’s heart still beats a Presto rhythm every time she sees him. But when they are together they fight like they’re on a debate team. John tells his young nephew that he doesn’t intend to get into arguments with her. Yet some of our friends who later married tell us their relationship dates back to junior or senior high school. We don’t know how old Joseph was when he fell in love with Rachel, but he was head over heels in love the moment he saw her. He stepped up, took over her job and watered her father’s sheep. Then kissed her! In short order Rachel’s father, Laban, negotiated with Jacob to work seven years to win the privilege of marrying her, and Jacob agreed. As most Bible scholars know, when the seven years were up on his wedding day Jacob lifted the veil to kiss his bride and discovered he’d married her older sister, Leah. Jacob must have been in love. Although he was married to Leah he worked another seven years for Rachel. He loved her until her death. Before I married my husband, our church had a multitude of girls who had a crush on him. Les, or L.C. as his parents called him, already worked as a railroad telegrapher. My parents opened their home to a girl his age so she could finish high school in our town after her parents moved, and I teased her about her “bashful boyfriend.” She was smitten with L.C. and he barely gave her the time of day. I had no clue what was going on when I noticed him watching me at church. I was barely 15, but I was outgoing, sang solos, and was voted in as youth president when the age went to 35. I was about the youngest in the group. When our Sunday school class had an ice skating party, he asked if he could take me home. A week or two later he made a date where we would attend a special service at a nearby church. We dated for a nearly a year and married on my 16th birthday. My first romance ended up to be life-lasting love. Before you married did you have a crush or real love for your spouse? Please comment and tell us here. A handsome young man with a ranch in ruin and a brilliant doctor confined to an insane asylum because of one seizure. Yet their lives intersect. Will the doctor ever be released from the asylum? Will John marry Valerie or Edwina Jorgenson, the feisty rancher-neighbor he constantantly fusses with? This neighbor has a Peeping Tom whose bootprints are like the person’s who dumped a body in John’s barn. Will John even marry, or be hanged for the murder?